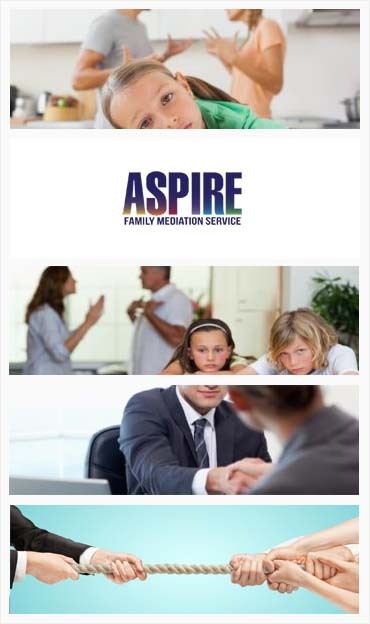 At Aspire Family Mediation Our Mediators are in your local area Coventry. Contact us today! Our office in Coventry is ideal for anyone living in Leamington Spa, Rugby, Nuneaton, Kenilworth, Warwick, Stratford Upon Avon and Hinkley. People come to us with many different types of problem. It may be that communication with your partner has inevitably broken down, or it may be that you still maintain lines of communication. It may be that you have young children, or older teenagers. It may be that the children have a good relationship with concerned grandparents. It may be that you have complicated financial circumstances. Whatever your personal position, we have the experience to help you to achieve a mediation that can suit all of your needs. We can even include children and grandparents in discussions around the mediation process. When my dad and uncle got into dispute over our ancestral property, I suggested them to take help from Aspire Family Mediation and thanks to them, whole dispute was over in no time and now our whole family is united again. I was really concerned about the matters related to children custody but the mediators of Aspire Family Mediation were able to resolve it effectively. I would recommend them for all. Legal battles in a divorce involve a lot of technical language and terms that are hard for the layman to understand. Inevitably, the legal process is complex and can result in long battles between legal teams. The jargon involved can be very alienating and result in a loss of understanding as the divorce continues. Often people report that if they had known what using lawyers involved that they would never have started with the divorce process. We could say that a legal route to divorce is complicated and obscure. This is not the intention of solicitors, but we have found this to the case in our experience. On the other hand, mediation is a very transparent process. At the start of mediation, clients attend a number of initial mediation information meetings that spell out the process to them. Through subsequent mediation meetings, the divorcing couple arrive at a solution that suits both of them mutually. Moreover, it will be an agreement that they can both understand and sign up to.